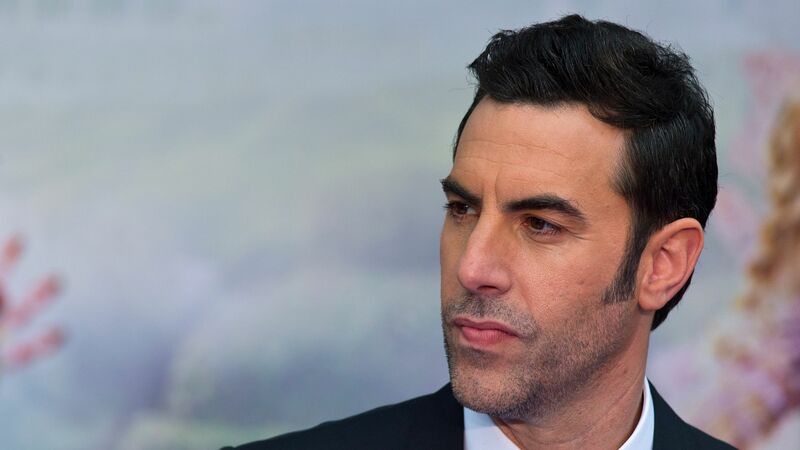 A wave of Republicans have come forward saying they were tricked into saying or endorsing things by comedian Sacha Baron Cohen on his new Showtime series, "Who is America?" The bottom line: This isn't the first time Cohen has done something like this. In 2003, Cohen even spoke to Donald Trump on his program, "Da Ali G Show," along with other notables like Buzz Aldrin and former CIA deputy director Richard Kerr. Former Alaska Gov. Sarah Palin said in a Facebook post that her and her daughter were "duped" by Cohen: "I sat through a long 'interview' full of Hollywoodism’s disrespect and sarcasm - but finally had enough and literally, physically removed my mic and walked out, much to Cohen’s chagrin. The disrespect of our US military and middle-class Americans via Cohen’s foreign commentaries under the guise of interview questions was perverse." Former Congressman Joe Walsh says he was "fooled" by Cohen into supporting a program that would arm children as young as three years old, called "Kinderguardians." Republican Reps. Dana Rohrabacher and Joe Wilson also supported the program on Cohen's show, the Washington Post reports. Rep. Matt Gaetz is the only politician that refused "to endorse Kinderguardians on the spot," the Daily Beast reports. Be smart: It's not just Republicans on Cohen's show. Sen. Bernie Sanders was also a guest, speaking about health care and wealth distribution, Yahoo reports. Go deeper: Watch a first look at Baron Cohen's show below.